Yes!! National Safety Day/Week is coming up and many safety experts are excited to share their safety awareness expertise across the Country!! Are you too eager to know about it? Then let’s just have a quick look on what is National Safety Day and how India celebrates this Occasion. National Safety Day is organized by the National Safety Council of India, a non-profit and a non-governmental Organization and was established in the year 1966. It is celebrated on March 4th of every year in many Governmental and Non-governmental Organizations and the entire week is dedicated to celebrate based on the Safety theme. This movement was launched in the year 1972. The main motive of the campaigns across the nation is to increase the safety awareness among people. 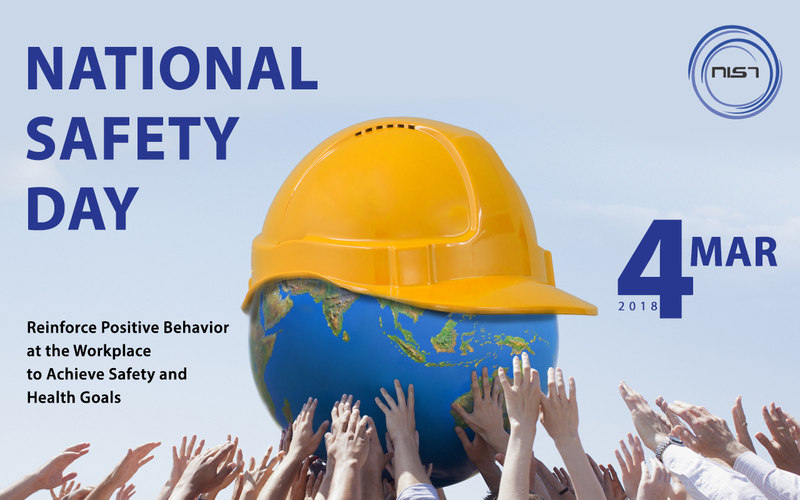 The main objective of the National Safety Day is to improve the Safety, Health and Environment (SHE) awareness in as many parts of the nation among People, and to increase the Safety alertness of employees and employers to ensure a safe workplace. By celebrating this event, People get to know more about the safety rules and regulations that are created by the Government on Health and Environmental concerns. Meanwhile, this opportunity educates the unfamiliar people to get to know about all the possible safety principles and the importance of Health and Safety in their daily work-basis. Carrying out Training Programs, Workshops, etc. Many other motivating safety activities. Have you ever participated in such events? Does your crew is prepared for it? Will you enlighten more number of People this time to stay aware of safety hazards? Then Let us take this wonderful opportunity to encourage people about the significance of Safety; and develop Safety as our first priority in every work we do; most importantly to make sure that we and our Environment stay safe. Does your heart pounds on the number of accidents and the life losses that occur each year? Even one single loss of life can affect the entire family and these occupational safety calamities can cause ineffable damage to the industrial properties. So how these safety accidents at workplace can be avoided? With keeping this on mind, anyone can improve the state of safety in his work environment if gets well-trained on Occupational Safety and by making sure his Work environment is Safer and free from dangers. With precise knowledge on Occupational Safety, experts can carry out the statutory requirements of an organization to ensure a safe workstation. NIST a Safety Giant in India, offers excellent International Safety Training, Corporate Training, Auditing, Consulting, Recruitment & Staffing Services and creates Safer Work Culture. A Safe individual protects a Family. A Safe Family will make a Safe Surrounding. Many such Surrounding will turn into a Safe Nation one day! So step forward to become a safety proficient with right acquaintance on safety, protect our (work) environment and preserve harmony of our nation as a better place to live in. NIST wishes you to Practice and Contribute to Safety at Workplace and Achieve the Safety & Health Goals keeping up Safety as a Priority!